Kumaragiri Vema Reddy popularly known as Vemana was a great Telugu philosopher and poet, who lived sometime in the seventeenth century. He composed numerous poems in the vernacular of Telugu. His poems are four lines in length. He traveled widely across south India, acquiring popularity as a poet and Yogi. So high was the regard for Vemana that a popular Telugu saying goes 'Vemana's word is the word of the Vedas. This author has attained great celebrity in his own country and in the adjacent parts of India; some information regarding his country and language may however be acceptable to the reader. Telugu is a principal language of the peninsula of India. It is ancient; and has been highly cultivated. The nation of the Telugus was in former times very powerful, and its princes gave considerable encouragement to literature. The works of its ancient poets are numerous and very voluminous. It possesses a very scientific grammar, and a system of prosody nearly as highly polished as that of the Greeks. In this and some other respects the language is acknowledged to be more difficult than Sanscrit. It is peculiarly smooth and elegant in its sound, and the poets have cautiously preserved its euphony. Hence Europeans have called it the Italian of India. The student may at first think this remark, which is no new one, unfounded; as the pronunciation is strong and decided; and as the mixture of Sanscrit terms often gives it a degree of roughness. But the pure rustic dialect as well as that of the poets is altogether different from this colloquial language; in the pure dialect most of those Sanscrit words that had harsh sounds are softened till they are as smooth and melodious as pure Telugu. With Sanscrit it is closely connected; as closely as English is with Latin. But at the same time it is as truly original and nearly as copious as English. Like English it has borrowed its scientific terms from another tongue; and these Sanscrit additions are daily increasing. Thus the language is becoming less pure. 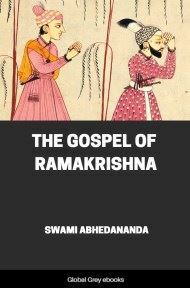 During the eighteenth century, the incursions of the Mohamedans effectually crushed the literature of Telangana; it has fallen low; and the colloquial dialect has become equally corrupt--men are now rarely met with among them who can read or explain the classical authors of the language; a knowledge of prosody is yet more rare. Twenty five years of peace in Telangana under the British government have now afforded opportunities for some revival of literature. The establishment of the Honourable Company's College at Madras, and the encouragement there held out to good scholars in the language may have effected some revival; but much remains yet to be done. 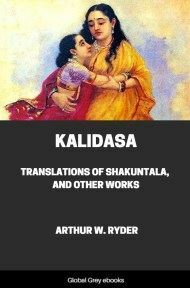 No poem or classical composition in Telugu has hitherto been printed; and I believe no translation of a classic into English has been attempted. 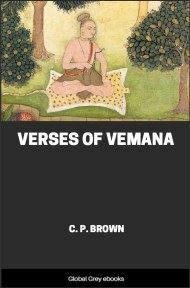 It now remains to give some account of my author, VEMANA, whose writings are peculiarly useful to those who study the language, the style being simple, and the variety of topics very extensive. These adages exemplify thousands of words inadmissible into more dignified poetry. The thought and connection are often abstruse while the terms used are quite familiar. Of his history, little is known. He was not a Bramin but a Capoo, or farmer; a native of the Cuddapa district and born, I believe, in the neighbourhood of Gandicotta. He lived in the beginning of the eighteenth century. It is said that in verse 707 he has fixed the date of birth which is believed to have been his own. This date coincides with A. D. 1652. The date is given in the cycle of sixty years; but which cycle is intended is unknown. Many verses, however, prove satisfactorily that he wrote in the latter part of the seventeenth century when the Mohamedans were governors of that part of India. His family was powerful, but he renounced the world and became a sanyasee or ascetic. He calls himself a Yogee. These verses communicate hardly any idea of his history or connections, and like all solitary ascetics (sanyasees or yogee) he has dropped his family name--calling himself simply Vema or Vemana at pleasure. This solitary life has led him to address all the verses to himself, which, if this be not recollected, certainly looks like the grossest egotism. This practice is far indeed from being peculiar to Vemana. [The name Vema and Vemana do not appear to be used by the Telugus of the present day. Vema or Vemana in Sanscrit signify a loom. (see Wilson's Sanscrit Lexicon, page 854, and the Sabdartha Calpataru Vol. II, page 199). I believe these names to have been practical titles alone, without a definite meaning. Thus it is well known that the titles or names of Dante and Hafiz were not the original names of those poets; the first of whom was named Durante or Durando (see preface to Cary's Dante) and the second Muhammed Shemsuddin]. 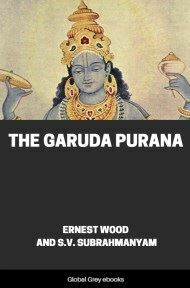 These poems have attained very great popularity and parts are found translated into Tamil and Malayalam or Canarese. Their terse closeness of expression sometimes renders them difficult to translate with elegance; but such passages exemplify the manly force of a language that in the common dialect is often weak and verbose. Of his aphorisms many have become common proverbs. Parts of them are evidently close translations from Sanscrit works, particularly the Hitopadesa and Bhagavat Gita. In a few of these every word is pure Sanscrit. 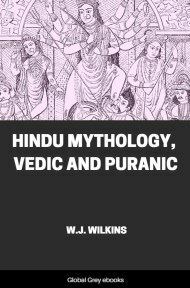 Vemana was evidently, in philosophy, of the Vedanta school, a disciple of Vyasa, whom Sir William Jones has (in the Asiatic Researches, Vol I, page 362) entitled the Plato of India. With the mystic tenets of Plato, those of Vemana closely correspond while his moral doctrines as closely answer to those of Democritus.